If you’re like me, one of the joys of summer is the time it makes available to catch up and jump ahead on the reading list. I know I spend each spring nearly as much time deciding what to read as I spend reading itself. Drawing upon my own reading in the past twelve months, I’m pleased to share here some summer reading recommendations for Summer 2014. My annual lists are usually populated primarily by books published in the past year or so, but this year’s list is a bit broader, with about a third of its titles dating back over the past three or four years. 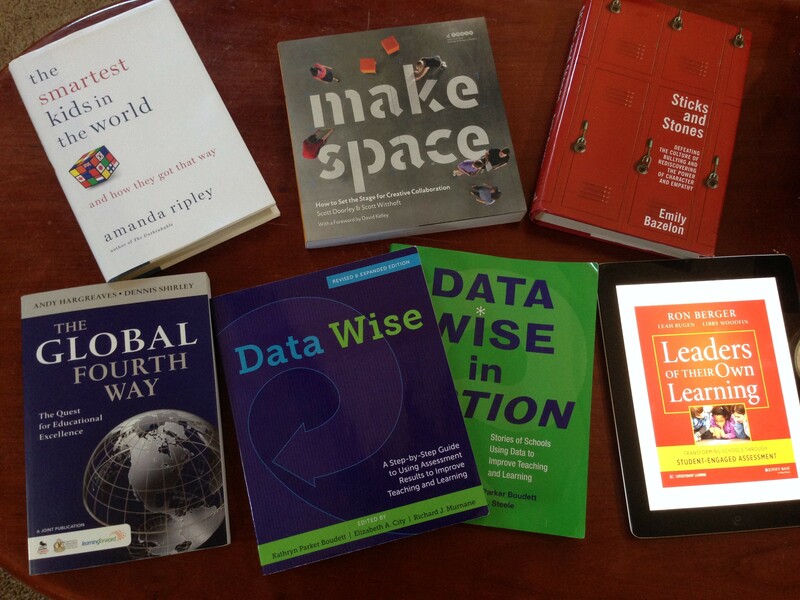 This is because as I worked this past year on preparing the OECD Test for Schools toolkit (see previous post), I did a deeper dive on two related topics, using data in schools and international benchmarking, and doing so brought me to some terrific, previously overlooked, titles I am delighted to share on this list. (For those on a budget, Scroll to the bottom for five additional recommended freebies!). The book is chock-full of action items and organizing lists for implementing this program, but especially wonderful are the charming, lovely, and sometimes even tear-inducing short essays with Berger which open each chapter: nobody writes as beautifully about children learning. 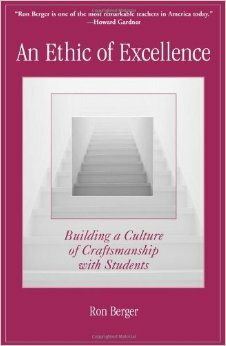 PAIR THIS BOOK> Berger’s 2003 title, An Ethic of Excellence: Building a Culture of Craftsmanship belongs in the Hall of Fame. In this extended, almost-lyrical essay, Berger writes as both a master cabinet maker and as an elementary school teacher to testify that it is the work that matters, and that when this is our guide and foundation, we can see student work soar and sparkle spectacularly. 2. Wonderfully eclectic and beautifully graphic, both how-to manual and philosophical essay, Make Space: How to Set the Stage for Creative Collaboration published in 2012 was my singularly favorite read of 2013 and is my most frequently recommended book of the past year. 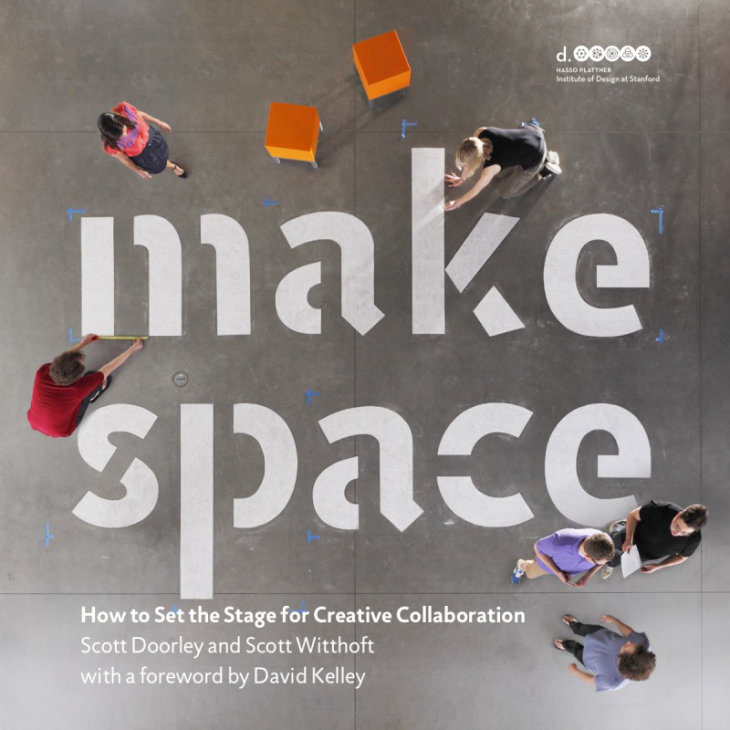 Co-authors Scott Doorley and Scott Witthoft, who are also co-directors of the “Environmental Collaborative” of the Stanford d. School (Hasso Plattner Institute of Design), bring the intellectual animation and ingenuity of the d. School to life on these 250 pages. 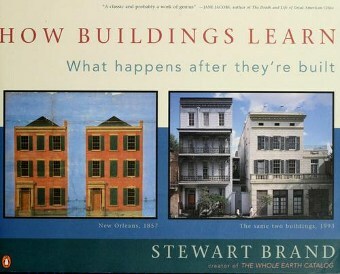 PAIR THIS BOOK> Make Space stands tall among a set of wonderful titles in this extremely fascinating genre, such as the comprehensive and highly visual survey of learning space enhancements, The Third Teacher (2010) and Stewart Brand’s brilliant 1995 treatise on the importance of adaptability and continuous evolution of space, How Buildings Learn. 3. Data Wise (rev. 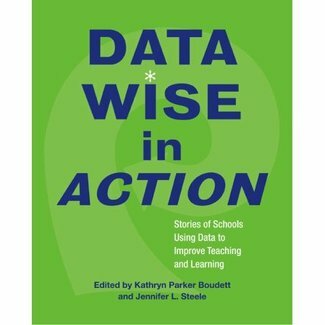 2103) and Data Wise in Action (2007) are com panion titles from the Harvard GSE and the its Data Wise project. 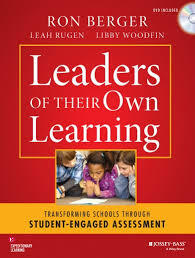 I think they are dynamite resources for any school administrator or teacher who wants to become more intentional, systematic, and action-oriented in using student assessment results meaningfully. Every school collects data of various kinds, but very few school-folks, I fear, and I know I speak for my past-self as a principal, effectively use the ever-growing pile of numbers and statistics to make meaning and make change. In these titles, the path is clearly marked (in Data Wise) and effectively illustrated (in in Action). The spirit of these books is very appealing, empowering and honoring the professionalism of teachers in an approach that is student-centered, inclusive, collaborative and reflective. 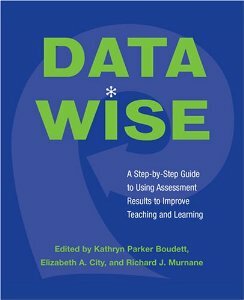 Highly recommended for all administrators and for those teachers interested in this subject and wanting see teaching to become not data-DRIVEN but data-WISE. 6. Reading Ripley might entice some to go deeper into global educational studies, and there are some terrific, richer and wiser, books available. 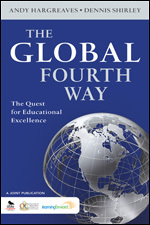 Having read three of them recently, my pick among this trio is from Boston College professors Hargreaves and Shirley: The Global Fourth Way: The Quest for Educational Excellence. 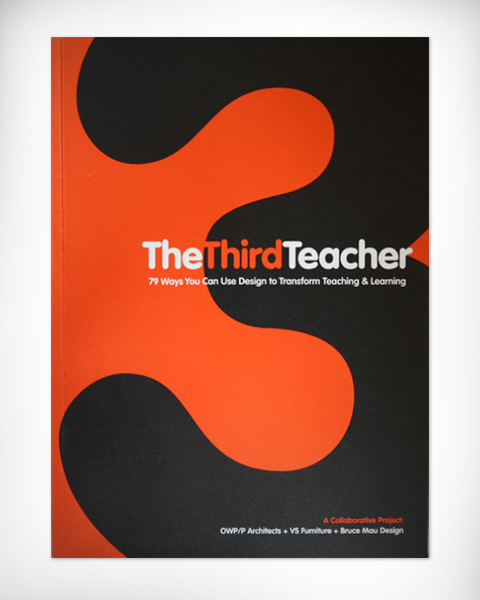 The authors explain what they mean by the fourth way of educational change, which includes broadening the range of learning beyond the basics, using data to inform teacher inquiry not “drive it,” testing by sampling, and teachers as the co-creators of curriculum, not the deliverers of it. The discussion of the fourth way by itself is worthy of extended examination and discussion as a model for educational transformation—it is worth the while. 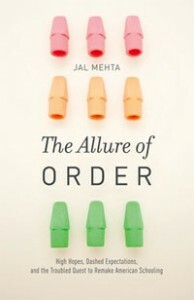 The authors also tackle the fascinating and complex problem of whether innovation and improveme nt are at odds or can be reconciled in the pursuit of excellence, and they then survey six different case studies to exemplify the fourth way. Some of the six they profile are a bit too familiar (Finland, Singapore) or fall a bit short in convincingly illuminating the Fourth Way in practice (California especially), but the sections on England (a particular school there), Ontario as a province, and especially the province of Alberta are inspiring and informative. Bravo Alberta! 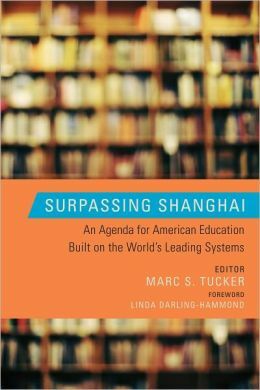 PAIR THIS> with Tucker’s Surpassing Shanghai and or Mehta’s Allure of Order, both of which similarly scan the international landscape and draw fascinating and applicable insights for US education. 7. 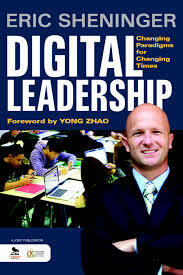 If you are reading this blog post, you are probably already someone practicing online learning and leadership, and so you’ll easily agree with me that it was great to see this past year three Jersey educators issue two excellent guides for the practice of digital and online leadership. 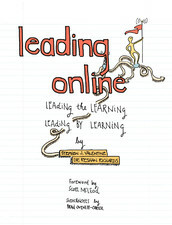 From Montclair Kimberly Academy, Richards and Valentine argue in their short, colorfully illustrated Leading Online: “These days, leaders look out for their organizations by looking out of their organizations… they know you don’t have to leave school to leave school.” And they know that no matter how powerful the technology, human decision-making is still demanded. As they explain in a chapter entitled “Design for Spaces, Care for Spaces,” tools cannot reorganize, synthesize, or make meaning: “these tasks fall to the leader.” PAIR THIS> with the following. 10. 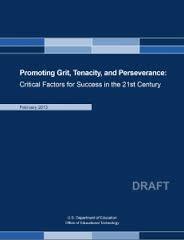 Promoting Grit, Tenacity and Perseverance: Critical Factors for Success in the 21st century, comes from what until recently Karen Cator’s excellent EdTEch shop at the US Department of Education—and it is free for download. Available at the USDOE since Febraury 2013, it is confusingly still labeled a “draft,” but that doesn’t make it less worthwhile reading. As the importance of non-cognitive factors for student success has surged back into consciousness these past several years, and most particularly that of what Duckworth calls grit, many have been responding: OK, stipulated, but HOW? Even Duckworth’s own TED talk offers next to no guidance on this question. 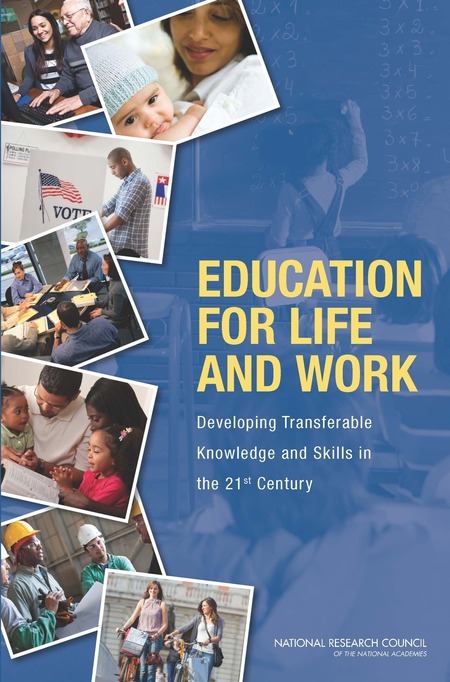 This DOE 100 page free resource, after reviewing terminology and assessments, walks the readers through more than fifty intervention programs and methods for doing so, and then provides valuable recommendations for policy-makers, educational leaders, and parents for this work. 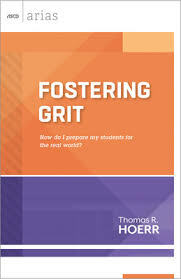 PAIR WITH> Hoerr’s ASCD “Aria” sort book, Fostering Grit—though if you have time for only one, choose the DOE’s freebie. As noted, number 10 on the list above is yours for free, and do remember that your summer reading doesn’t have to cost you the equivalent of a special restaurant with your best friend. Many excellent special reports and even full book titles are available for free as downloads. 1. 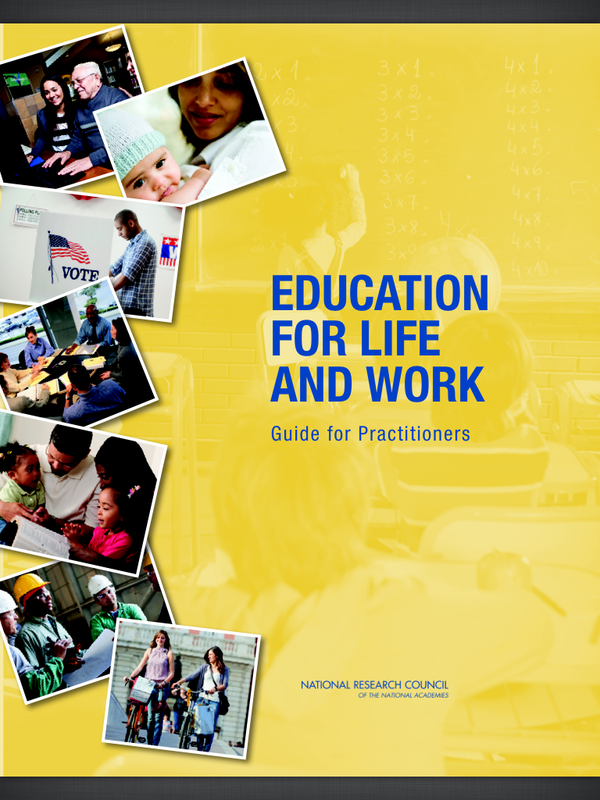 One is the National Research Council’s comprehensive, evidence-based, rich and rewarding 200 page 2012 book, Education for Life and Work. It’s not the lightest reading, but it provides an excellent foundation in what is known already, what we must inquire into more thoroughly, and develop more completely, to advance true 21st century learning. 2. The National Research Council has also helpfully summarized its research for educators, in the succinct and accessible Practitioner’s Guide. 3. The Asia Society engaged researchers from the RAND corporation to prepare a really interesting and useful report which I think would be found valuable reading for all who are engaged in advancing 21st century learning. Called “Measuring 21st century Competencies: Guidance for Educators,” it is about sixty pages in length, and after helpfully defining this set of competencies, and reviewing the key issues in testing and assessment generally, it reviews a wide array of techniques and tools for doing so. Interestingly, it chooses one as being most worthy of a “deeper look,” the Mission Skills Assessment from the Index group, and the discussion it provides about this fast emerging tool, (full disclosure: one with which I have an association) is very informative about the future of non-cognitive assessment. 4. The OECD, based in Paris, owns and manages PISA, the Programme for International Student Assessment—which makes news every three years for its “league tables” ranking national educational performance. Less well known is that its team of educational researchers spends years reviewing the testing data and studying international educational practices to prepare fascinating reports on what works in education—and they are all free. 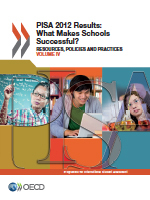 There are half a dozen or more I especially like, including the two Lessons for the US from PISA (2009) and (20012), but my top pick is the recent 2013 publication: PISA Results 2012: What makes school successful. Learn what these researchers have found about areas such as governance, school climate, student grouping, grade repetition, student-teacher ratio, teacher professional development, and much more. 5. 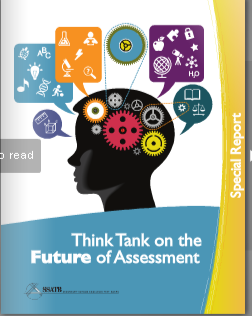 Forgive me tooting my own horn, but I’d add last to this list the “Special Report on the Future of Assessment” published last summer by SSAT, a 24 page review of the big ideas, leading thinkers, and innovative practices in non-cognitive assessment. (Note, a second SSAT special report is due out in a few weeks. Check back here or at the SSAT website to grab it when it is available). If you’re looking for even more “freebies” for 21st century learning reading, be sure also to check out the DML website of the MacArthur foundation. 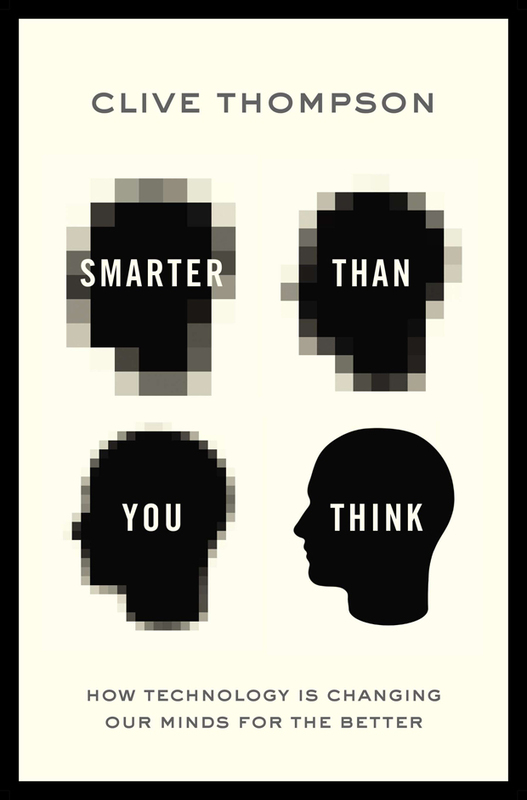 They’ve teamed up with MIT press to publish a series of fascinating volumes such as Measuring What Matters Most and The Future of the Curriculum, and they’re all available for free download. Enjoy your summer reading, and please: take a moment to use the comment box to share your suggestions for summer reading for 21st century educators. Have been following your lists since 2011, and miss the fiction and sort-of fiction you used to include. 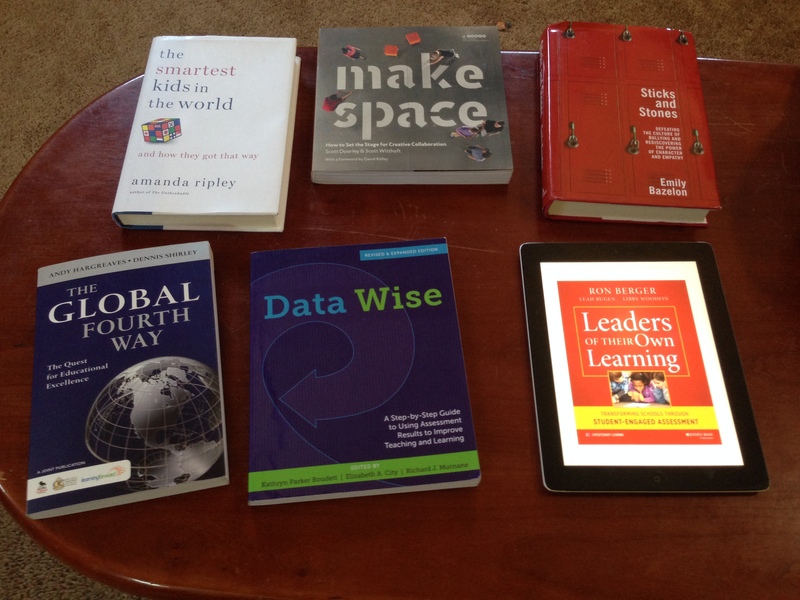 Professional reading begins to blur together for me after awhile. There’s just so much global connectivity, data analysis and leadership advice I can absorb without fading out and needing a story for framing and perspective. Jamie– that is terrific Ron will be at the Martin Institute. I saw Ron speak recently at Deeper learning in March, and he was superb. 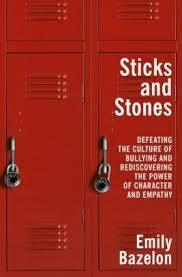 I genuinely think he is the singularly most inspirational writer/practitioner in learning today. Nancy– I appreciate this encouragement greatly. You’ve motivated me: I’ll try to get up a fiction recommendation list sometime in the next three weeks! Yes, I’ve read Gardner’s App Gen book, but as you can see, it is not on my recommendation list. It is not that none of his points are well taken– of course some are– but on the whole, his take on the topic, I think, is really off-base: the tone a bit too judgmental and disconnected; the observations too shaded by his point of view; and judgments poorly supported even by his own reported evidence. I agree with him (we all do) that identity, intimacy, and imagination are all important, and I certainly agree that today’s technology has cross-cutting effects on each. 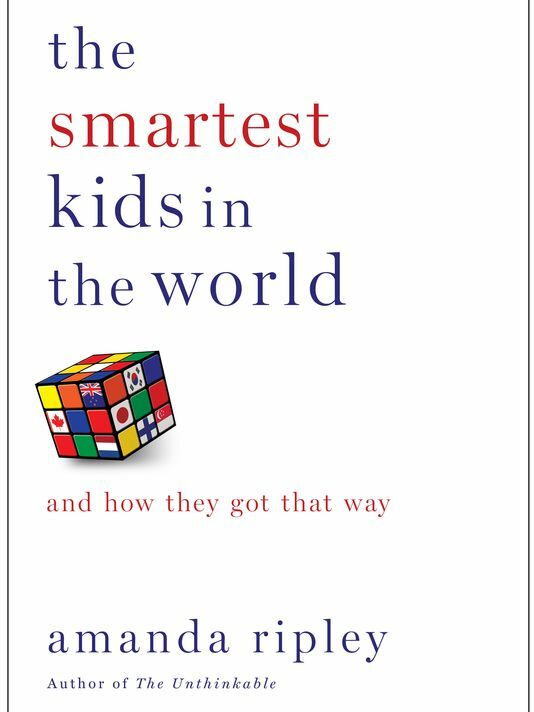 But to determine and label today’s kids– and they are awesome, engaged, motivated, passionate kids– as being “app dependent” is just not fair, not constructive, not impressive to me at all. Jonathan- Like others, I greatly appreciate seeing your suggestions and will use them to add to my ever-growing list of books to be read. I join Nancy Flanagan in thinking that even the most ambitious professional reading list needs the seasoning of a little fiction. An author I’ve long admired, John Williams, is enjoying a bit of current popularity and I certainly recommend his works. Andrew: Thanks for adding Leaving to Learn to the set. I’ve read it and I admire it; it just didn’t quite make my cut for top ten titles. Great stuff though: keep up that terrific work ensuring students “leave to learn” at Big Picture and beyond!